Proposal is to develop a hotel. Renovation of the Con-way Leland James Center building into a creative office bldg with ground floor retail. 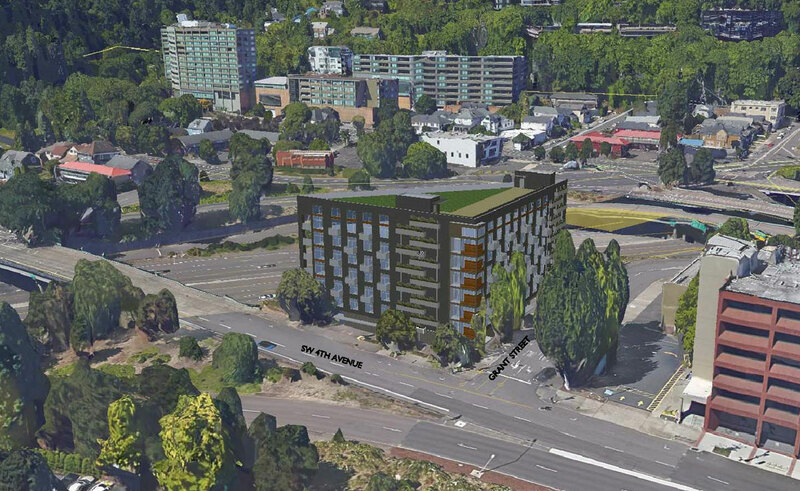 A Pre-Application Conference has been scheduled by Urban Development Group to discuss a new building at SE 11th & Burnside. The proposed 7 story building by Vallaster Corl Architects will have 84 residential apartments over ground floor retail and parking for 23 cars. 126 bicycle parking spaces are proposed. 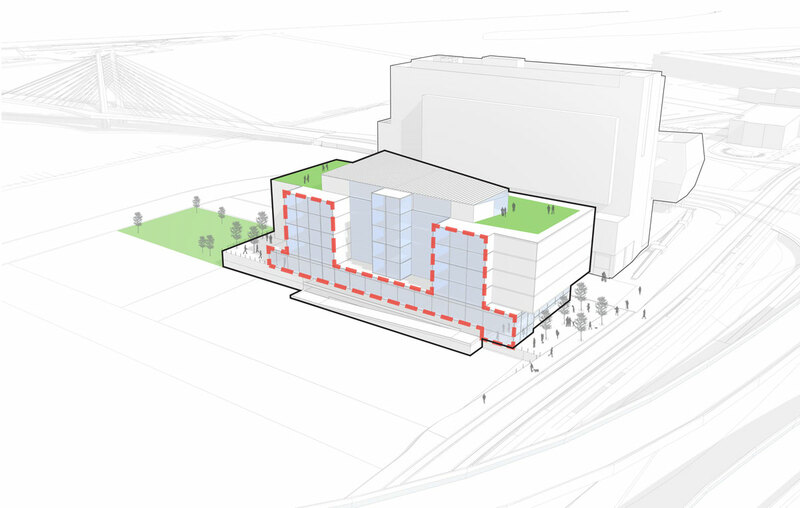 Design Advice has been offered to SRG Partnership for their proposed Knight Cancer Research Building in South Waterfront. The building will be the second building in the OHSU Schnitzer Campus, following the Collaborative Life Sciences Building which was completed in 2014. Design Advice Request for a new mixed-use building – 2191 sq ft retail; 84 residential units; 6081 sq ft of below ground parking (23 parking spaces total). 17-18 unit multi family building with on-site storm handling. Transfer of density from neighboring site at 7922 N Ivanhoe. One house to remain on 7922 N Ivanhoe. Pre-App. Conference to discuss a Type III Historic Resource Review for a new 15-story mixed-use building with ground level retail, parking (approx. 90 spaces) on the 2nd and 3rd floors and 193 residential units on the upper floors. 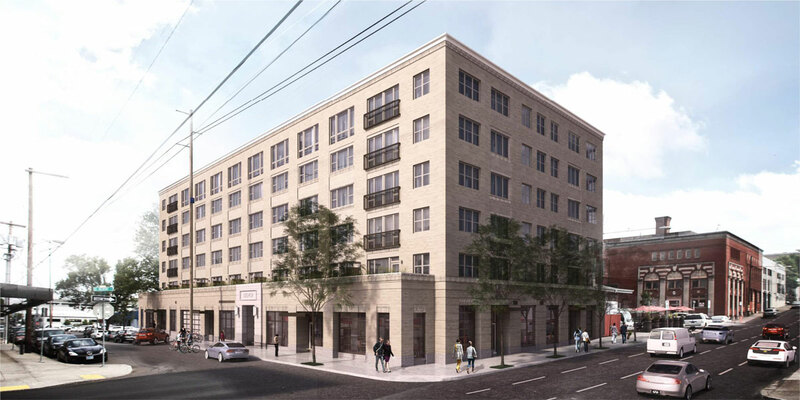 New 134 unit apartment building with retail at ground level and tuck under parking. New 2 story commercial building; shell only; with associated site work. No occupancy under this permit, separate ti permits required for occupancy. Sprinkler/alarm required. 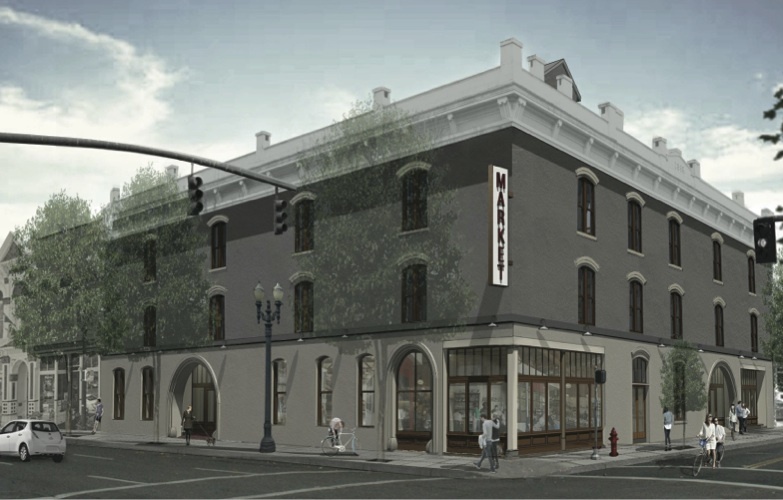 The proposed Restoration Hardware store on NW 23rd has returned for a second Design Advice hearing in front of the Historic Landmarks Commission. The proposed store by Ankrom Moisan Architects would be modeled on the furniture store’s ‘Gallery’ concept, as used at the recently opened West Hollywood store. Furniture would be display in a series of linked rooms, as they might be in a house. A roof terrace will be used to display outdoor furniture. 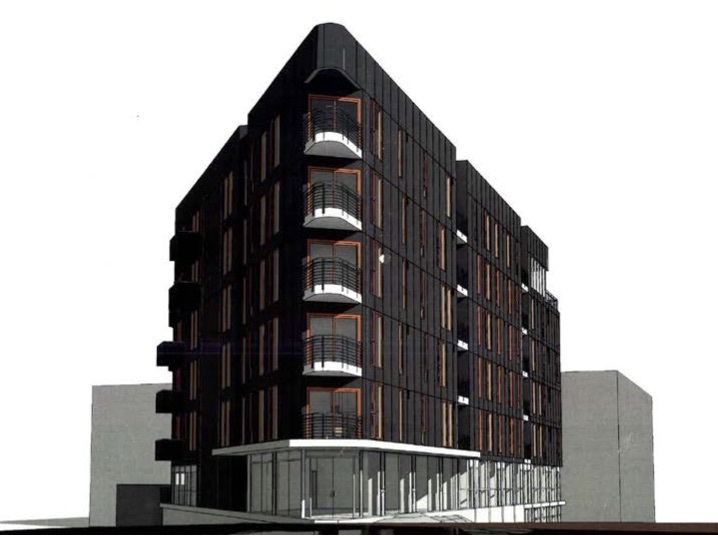 A Design Review hearing has been held for the 9th & Belmont Apartments, a 6 story building by Ankrom Moisan Architects and Foresight Development & Real Estate. 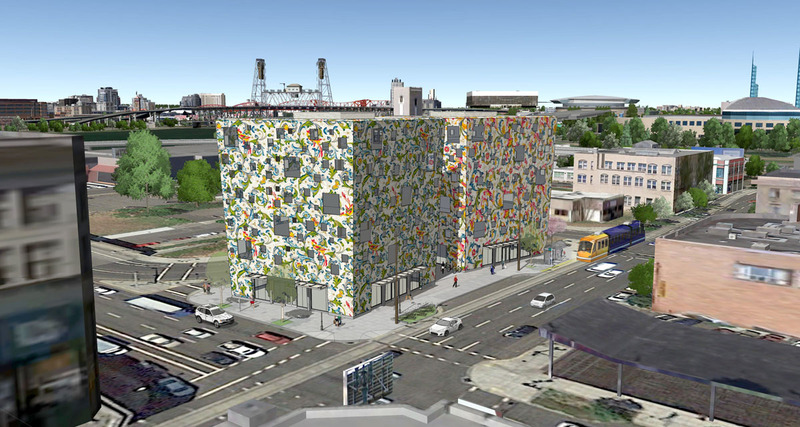 The proposed building would have 105 units, split between 35 studios, 60 one bedroom units and 10 two bedroom units. 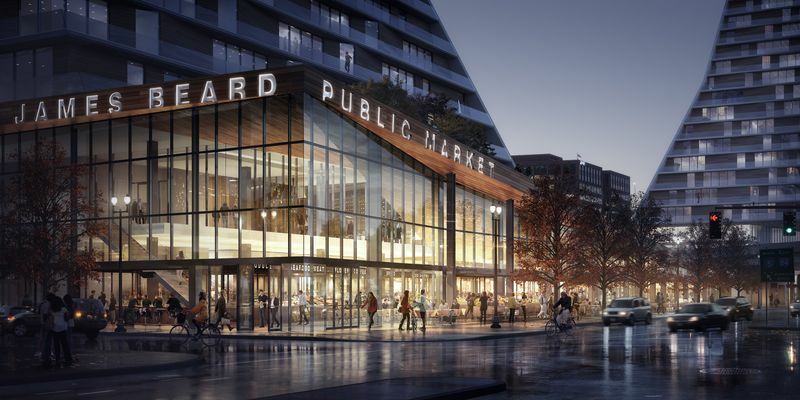 Up to 5 retail spaces are proposed at the ground level. Parking for 17 cars and 163 bicycles will be provided.